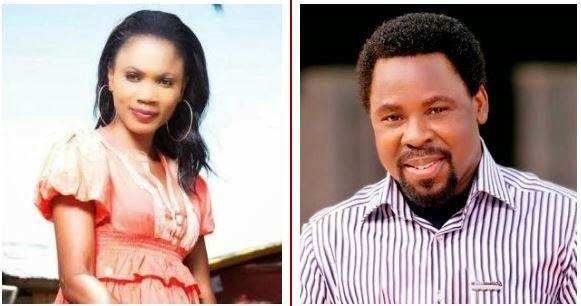 Celebrity broadcaster and Tv host Funmi Iyanda speaks on her encounter with prophet T.B. Joshua of the Synagogue church of all Nations. She claimed a member of the Prophet’s church stole the tape of her interview with the Prophet which was recorded. She took to her twitter account (@funmilola) to narrate the event which took place when she was 25.
interview with him and church members, the tape “disappeared” in our office. church. I said it was nice but wasn’t it more important to build people? At each encounter he said my “spirit” was rather strong. I took it as a complement. congregation mesmerising. I saw what easy prey the desperate would be. door and crawl on knees to his presence to speak to him. My heart cried. staff probably stole it. Hours of prime sparring. I was 25.